The July issue of Wargames Illustrated is available now, in print, interactive (on tablet), or via your web browser through our Prime page. 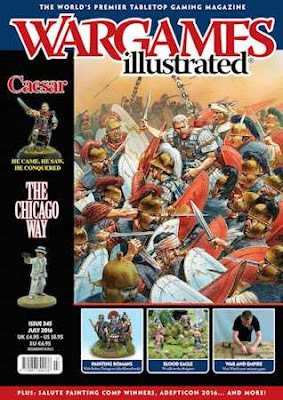 Our theme for this month is Caesar, and we feature five articles focusing on gaming with this giant of the ancient world, with contributions from rule writers, gamers, and modelers. You will also find articles on Blood Eagle, The Chicago Way, Sabre Squadron, and plenty more besides. Veteran wargamer, rules writer and self confessed Caesarian Simon MacDowall introduces us to this month’s theme – Wargaming with Julius Caesar.